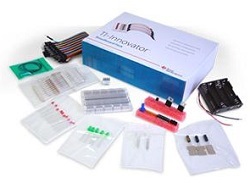 Includes resistors, capacitors, LEDS and other components for design activities that explore electronics principles. Get familiar TI-84 Plus functionality in a sleek new design that features a crisp color screen. Enables students to learn basic coding and design.